Veneda N. Morelock, age 91, of Elwood, passed away peacefully at her residence surrounded by her loving family on Friday, February 1, 2019 following an extended illness. Veneda was born on December 17, 1927, in Frankton, Indiana to the late Wayne and Minnie (Roach) Carlton. Veneda retired from Continential Can after 28 years of service. She was a founding and faithful member of Charity Inn Church in Elwood. She enjoyed knitting, crocheting, quilting blankets for family members and recently liked doing word search puzzles. More than anything she loved spending time with her family. 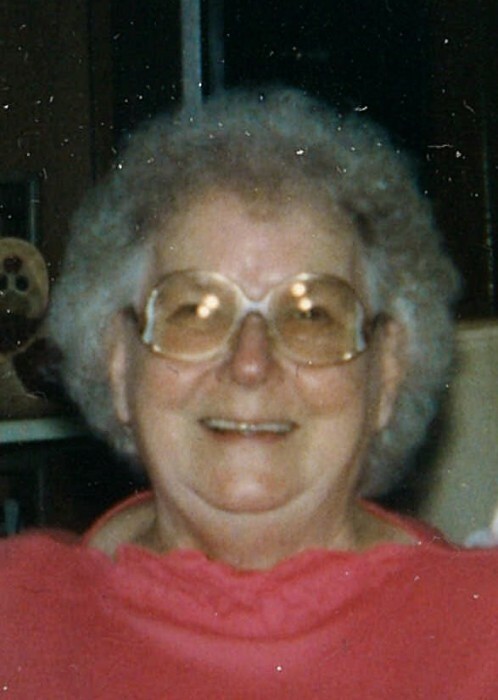 Veneda is survived by her three sons, Terry Baugher, Sr. and Brian Baugher both of Elwood, Indiana and Charles Wayne Baugher of AK, two daughters, Rebecca Baugher of Frankfort, Indiana and Ramona (Thomas) Feeney of FL, 36 grandchildren, several great- grandchildren & great-great grandchild and several nieces & nephews. Veneda was preceded in death by her parents, first husband, Charles Baugher, second husband, Charles Cunningham, and her third husband, Donald Morelock, two sisters, Dora Jane Rogers and Georgia Williams. Funeral service celebrating Veneda's life will be at 1:00 pm Wednesday, February 6, 2019 at Dunnichay Funeral Home, Elwood, Indiana with Pastor Stan Alvey officiating. Burial will follow in the Pruitt Cemetery outside of Frankton, Indiana. Visitation for family and friends will be Wednesday, February 6, 2019, from 11:00 am - 1:00 pm, at Dunnichay Funeral Home, 1113 S. Anderson Street, Elwood, Indiana.